Following the Orthodox calendar, this year the Easter is celebrated on April 8, so considering the part of the year and the occasion, this is indeed an ideal opportunity to visit our charming city. In religious sense, Easter is one of the most revered days for the Christianity and for all the Christians, Easter is the most joyful holiday. 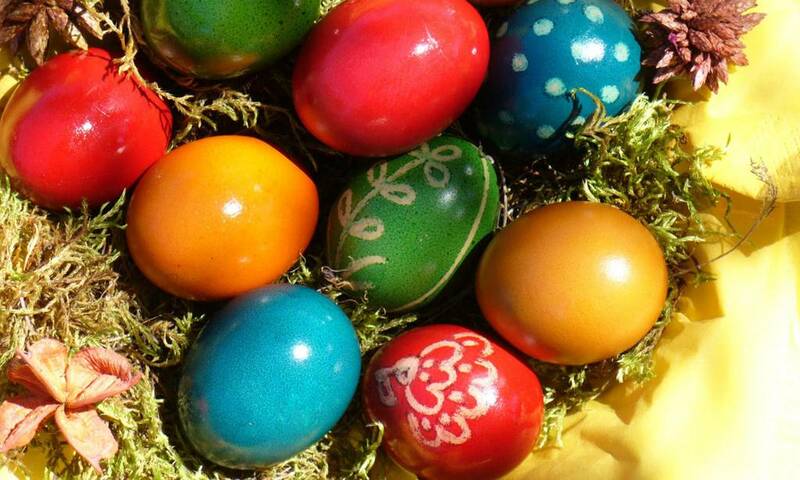 And in Serbia indeed, Easter is the single most enjoyable holiday for all the working people, regardless of their religious beliefs, as these days, starting from the Great Friday, all until the second day of Easter, are non-working days. The four days is an opportunity for Belgrade residents, providing they are not engaged in an on-guard duty, or work in a retail store, to enjoy a mini break in the countryside, visit a spa centre, pay a visit to their relatives outside Belgrade, or some passionate ski lovers may use this last opportunity to ski in some of the European ski centres. On the other hand, numerous Belgrade residents enjoy in staying in their city and appreciate the moments spent with their families and friends, surrounded by peace and quiet and joyful atmosphere that the Easter is traditionally associated with. The City of Belgrade, including many other organizations as well, have recognized long ago the needs of their citizens and work hard to organize in this period of the year all sorts of free events dedicated to all ages, from the youngest ones to their grandparents. Considering the weather forecast for Belgrade, this year’s Easter will be a fantastic opportunity to enjoy in open air, so we will all be able to experience the spring beauty of Belgrade or have an active stay in some of the green oases that Belgrade offers. This is not just a good opportunity for numerous tourists who flock to Belgrade in this time of year, anxious to learn about the rich cultural heritage of the Serbian capital. This is also a good opportunity for all Belgrade residents who will stay here to refresh their knowledge about Belgrade. Ask yourself how many times you have listened about the attractive city tours across Belgrade, the new spectacular sites that everyone is talking about, and which you have not seen or experienced. So, no matter if you are a tourist arriving to Belgrade to enjoy the night life and party all night long in night clubs and bars, or a Belgrade resident who is looking for a few days off to relax from the everyday pace, don’t be lazy! After a good night’s rest, head to Savamala, go round the Kalemegdan fortress, sign up for a tour to see the underground secrets this city is hiding, or just go for yourself and visit some of the most memorable Belgrade buildings. If you prefer nature and parks, head to Kosutnjak area or Ada Ciganlija beach, where you’ll have lot to enjoy. Take a walk through Topcider and Banjicka forest, or spend a quiet afternoon in Tasmajdan park, enjoying with your kids. If you’re fond of rivers, you’ll have a lot to choose from. Head to the promenades of the Danube and Sava and enjoy the fresh air and the unique river atmosphere. Wishing to assist its guests and promote our capital city among the general public, the web site noviapartmani.com has been addressing in its blog for quite some time the different topics relating to Belgrade and has been trying to describe some of the most interesting locations and events aiming to help all Belgrade tourists to visit as many sites as possible for the shortest period of time, and also to enable our guests to make their choice easier, and find some of the Belgrade sites and events which will suit their needs and interests. If your primary reason for visiting Belgrade is leisure and relaxation, we can recommend that you pick some of the ‘mini spa centres’ on our web site, in the section apartments with jacuzzi where you can enjoy in unforgettable moments of relaxation after the fantastic daily (and evening) programme this charming city will definitely provide to you.